This just in! The long awaited update to the AT&T variant of the HTC M8 has been long past due. I reached out to @moversi to try to find out why. He just responded with an adequate answer. I had guessed they were waiting for Lollipop to drop. I was very wrong. 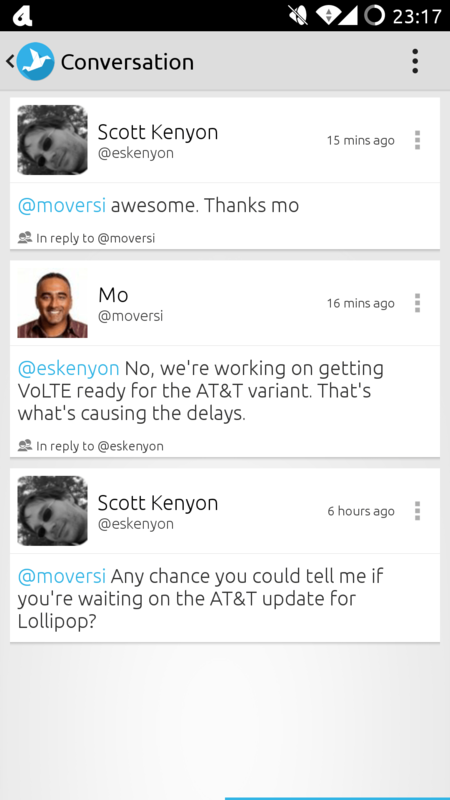 Mo confirmed the reason for the delay was to support VoLTE. If we recall from this article, AT&T’s VoLTE support will work alongside Verizon’s. This means the vast majority of US customers will be able to communicate on this next gen (really current gen) technology without the usual fuzz on the phone.